Creating videos isn’t as easy as it may appear. Not only is recording high-quality live-action footage difficult, but there’s post-production to take care of as well. That being said there are some types of videos that are much easier to create than others. While some may be limited in certain ways, they are a good place to start if you want to cut your teeth and create videos. At one time this type of video was immensely popular, but it has fallen off in popularity somewhat. Still, it remains a great type of video to create and is extremely easy to do so. Essentially all you need to do to create a talking head video is record yourself – normally just the upper part of your body. During the video, you’ll discuss a certain topic, and give your opinion on it. Because of how they’re structured, this type of video is completely personality-driven – so it’s important that you’re entertaining and can put your points across in an engaging way. Watching examples of talking head videos can help you to get some ideas of how to do that. All that you need to do to create a slideshow is compile photos or other images in sequence. However, if you want to turn it into a compelling piece of video content, you should make sure you leverage a variety of audiovisual elements. A good place to start is by using a voiceover to deliver the message and to inject some personality into the video. On top of that, you could set the tone with background music, and apply visual effects tastefully to make the slides more interesting or to accentuate the content. None of that will be particularly difficult, but you will need a specialized slideshow software to pull it off. For example, you could read more about Movavi Slideshow Maker here. Although nowadays explainer videos tend to favor animation, there was a point in time when whiteboard videos were the rage. As the name suggests they basically involve explaining a topic using a whiteboard to illustrate and provide visual aids. Recording a whiteboard explainer video itself is easy, and you just need to position your camera on a flat surface in front of the whiteboard then start drawing. However, what can be tricky is creatively expressing the topic using visuals – especially if you aren’t an accomplished artist (or even close). With a bit of planning, you should be able to pull off a short whiteboard explainer video fairly easily, however – so long as you don’t become overambitious. Just focus on simple ways to convey information, and draw within your means (for example: use stick figures instead of trying to draw people). 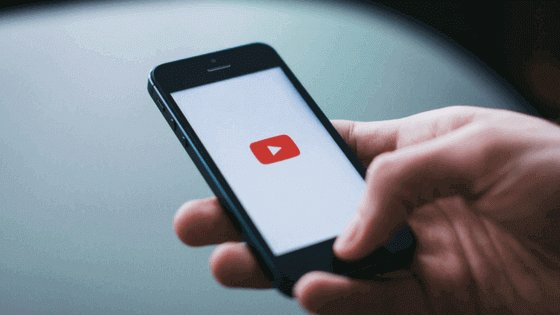 Make no mistake there are other types of videos that can be relatively easy to create, such as interviews using screen recording, basic tutorials, or even behind-the-scenes brand culture videos. That being said the ones listed above are a great place to start, and you can explore other options as and when you need to. While easy videos are a good place to start, you shouldn’t be afraid to experiment and pick up skills related to creating videos. That way as time goes by you’ll slowly but surely be able to create better and more impressive types of videos – especially if you are able to nail the planning and post-production as well.